It’s hard to find consumers who are excited about insurance. 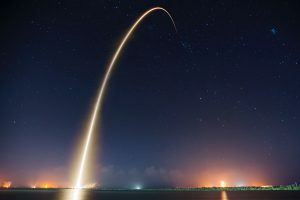 Though there have been a few startups in the space, insurance, particularly property & casualty (P&C) insurance, has remained largely untouched by digital disruption thus far. Consumers’ acceptance of insurance as a “necessary evil’ has kept insurers insulated from needing to innovate. However, disruption finally appears to be coming for the insurance industry. And the company leading the charge is Lemonade Insurance. At its core, Lemonade is still a fairly typical P&C insurance company. But in designing its business model, Lemonade created a product that delivers significantly higher value to consumers by identifying millennial consumer demands and putting them first. Lemonade is a digitally native company that has streamlined much of the insurance signup and claim process. Rather than having to go through a long process, often involving a phone call, like you would to sign up for Geico, new users can sign up for Lemonade quickly and completely on line. Lemonade claims new users can sign up in 90 seconds, and submit claims in 3 minutes. 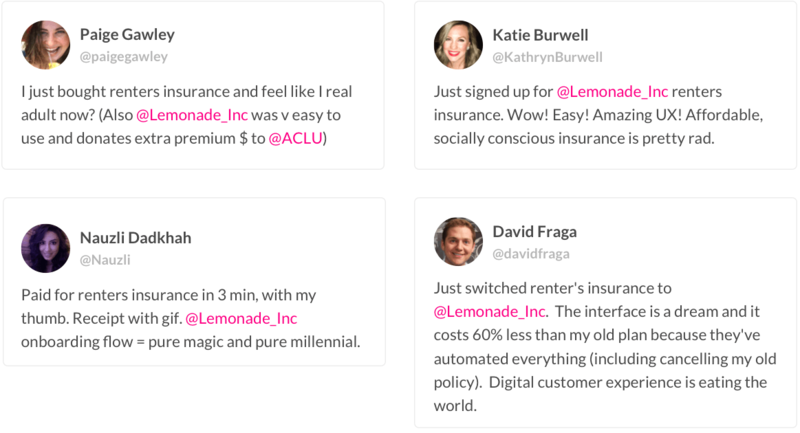 Lemonade also aims to pay users back much more quickly than a traditional insurer would. Lemonade is significantly cheaper than its competitors, with rental insurance starting at $5/month and homeowners insurance starting at $25/month. It also allows users to claim two items a year without any deductible. Lemonade is able to keep prices low because it has a cost advantage over its competitors through its lean operations. 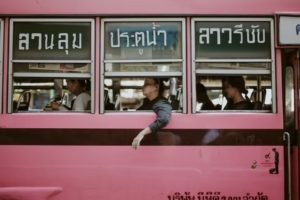 As a digital brand it doesn’t need many offices, and since users sign up for the service through an automated bot, it doesn’t need to pay for a sales team. Lemonade also does not offer auto insurance, which has a lower profitability rate, and therefore does not need to raise home insurance prices to offset auto losses. Lemonade also has incredibly transparent pricing and fee structures. It profits by taking a 20% flat fee from users’ premiums (advertising this on its homepage). At the end of the year, any unclaimed premiums after fees are paid are donated to a charity of the customer’s choice. This structure is another way Lemonade to s prices down. Insurance fraud is a huge cost for insurers, and Lemonade believes this model incentivizes users not to submit fraudulent claims as they’d essentially be cheating a charity. Overall, Lemonade is able to offer a superior product to consumers at a lower price point. As millennials start to both rent and own homes, it’s conceivable that many will avoid traditional insurers and instead use a digitally native brand like Lemonade. This is particularly dangerous to insurers, as not only are they losing out on the huge millennial market, but they are also losing on the more profitable business segment of home insurance. 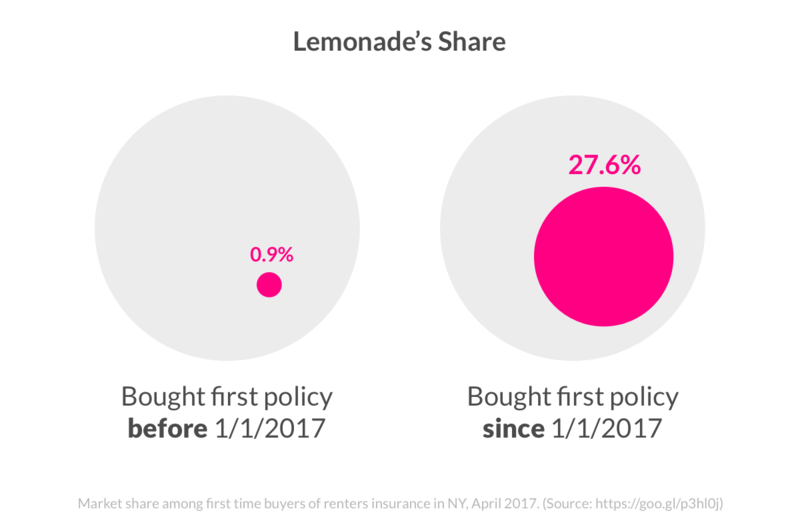 Demonstrating its pull with millennials, Lemonade accounted for the most new rental insurance policies in New York last year. What’s also interesting is that Lemonade has in fact been aided by traditional insurers in its growth so far. Because home insurance has been so heavily advertised already by traditional insurers, Lemonade had an educated and ready customer base waiting for them. In fact, Lemonade advertises that it took many of its customers as “switchers” from traditional insurance companies. 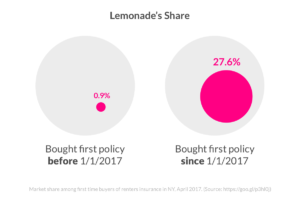 Though it is still too early to see the effects of Lemonade on traditional insurers (it was stated in 2015), Lemonade has been growing incredibly quickly. Lemonade is currently covering 90,000 policy holders at policies worth billions. And this December, Lemonade raised a $120 million funding round to accelerate its growth even further. It’s not inconceivable that for millennials, one day soon Lemonade will become as synonymous with insurance as Geico is now. Traditional insurers missed out on a key opportunity here, by not realizing that they needed to create consumer centric products, and that simply putting their products online was not sufficient digital innovation to ward off threats to their business model. Rachel, great post! I’ve seen ads for Lemonade, but didn’t really understand how it works until now. Super interesting that Lemonade is coming in and disrupting insurance using a mobile platform almost the same way that Esurance disrupted traditional insurance with the first direct insurance purchasing over the web. Esurance was bought by Allstate back in 2011, and I wonder if that acquisition limited their ability to nimbly respond to the shift to mobile – creating an opportunity for Lemonade to enter. Given that Esurance was acquired and insurance companies need to maintain their volume as a key element of their business – I wonder if Lemonade will have the same fate and be bought by a larger incumbent.